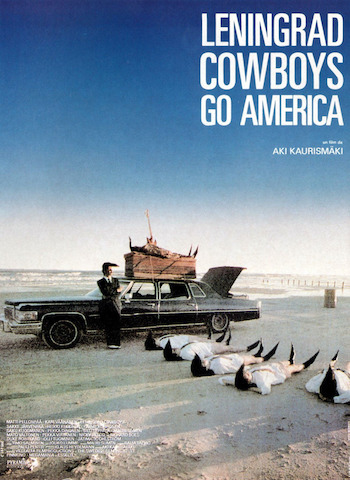 In the late 1980s, U.S. audiences met an odd musical group from Finland: the Leningrad Cowboys, stars of a deadpan-comic, not-quite-documentary, road-trip film called Leningrad Cowboys Go America. The second and more genuinely odd thing about them: their music. Back in their native Finland, their preferred genre had been a peculiar mashup of polka, Scandinavian folk and wild Cossack dance tunes. They weren’t particularly good at it, though, and so they’d come to the U.S., where, their manager had been told, the gullible public would accept anything. Their pop-culture schooling continued here, when a New York promoter told them they needed to drop the awful polka shtick and play rock ‘n’ roll; for their first official gig, he sent the band across the continent, in a broken-down Cadillac, to play at a wedding in Mexico. En route, they performed one-night stands in dive bars and seedy pit stops, adopting whatever they imagined to be the local musical style: “Rock and Roll Is Here to Stay” in Memphis, “Born to Be Wild” at a biker bar in Texas, and so on. If you’ve seen the film, and only later learned of the musical genre most concisely termed “international Americana,” you might imagine the arc of the film’s storyline run in reverse: American roots music and its descendant genres, journeying across borders for adoption by artists whose native language may or may not be English, and whose native instruments may or may not be guitars, fiddles, harmonicas, and bass. And what, you may wonder, would such a thing sound like? What would the songs say? Before proceeding too much further, some background on “Americana” music in general might help focus the search for its international form. The term was born in the early to mid-1990s of frustration among certain artists and other music professionals (producers, radio DJs and retailers). The problem, as they saw it: too-rigid categories–or, for that matter, too-vague ones. Which is all well and good in the abstract. But if you’re a professional musician, you want your music heard by audiences. How will everybody “out there” even find you in the first place? Can you rely on word of mouth? Once they’ve found you, will they come back for more if you weren’t what they expected? Can you make a living from writing and playing unclassifiable music? Must you resign yourself to a life of touring small venues, where the audience is present for some other reason–drinking, dancing, darts, whatever–and don’t even care who’s onstage? The answer, for both good and ill, is genres. The music industry establishes genres via trade associations, publications like Billboard, and other such institutions. But in the mid-’90s, admission through those doors had become way too expensive for many independent artists–expensive both monetarily and spiritually. You had to offer some big hits to get inside… but you can’t craft big hits from songs written for small audiences, no matter how satisfying the music might be in its own terms. From the dust of what was once heralded as progressive, renegade, eclectic, Western Beat or alternative, it all comes down to American roots music steeped with a history, heritage and ongoing influence. Stylistically it’s got a musical bone called country. It’s steel guitars, mandolins and acoustics rather than synthesizers and line dance mixes. …a nice healthy mix of indies, majors, knowns and soon to be knowns. Tulare Dust is certainly proving to be the album that defines the [Americana] format, and who could argue. A big thanks to all for making week one get up and running ahead of schedule. This is exit 0 on what will hopefully be an endless highway, and I hope y’all plan to make it to N’awlins, for there will be plenty of Americana fireworks. Note the little stylistic touches added, maybe, to soften the shock of the unfamiliar: the genuflection to the Haggard tribute, a nod to the debut album of soon-to-be-Americana-icon Steve Earle (Exit 0), a reference to a lonesome road, a y’all and a N’awlins, and a hint of red-white-and-blue festivities to come. Because this might be a new genre, but nobody wanted to alienate the potential audience before the genre had a chance to grow. Why focus on Australia’s profile here? As it happens, the Australian spinoff of the U.S.’s own Americana Music Association–the AMA-Australia–was just formed in fall, 2016. By looking at the statistics for Australasian music generally in, say, 2014, we can get a sense of the justification for a group to focus on Americana music in that region, and maybe others. We can observe a few things about this breakdown, especially in the absence of an Americana genre. Most obviously, if a performer might have self-identified as an “Americana” or even a “singer/songwriter” performer, they didn’t have the option: the list presented by the industry included no such terms. Instead, no matter how little they might have felt they belonged to a more accurate classification of their music, if they wanted audience and press attention, they had to pick one of the standard ones. Less obviously: the total of the percentages comes to only about 81percent. The missing 19 percent–over 39,000 performers–were simply “miscellaneous” others. In that group, and scattered among the other standard genres, lay the opportunity for an “Australian Americana” category. But let’s get out of the numbers thicket, and get into some actual music. The best way to get a general feel for a given culture, as quickly as possible? Eavesdrop on an informal gathering of its participants. The technique works well, albeit metaphorically (and much less creepily), when applied to cultural artifacts instead of people: curated art exhibits from multiple artists and sculptors; anthologies of essays, poetry, and/or stories by multiple authors; and of course playlists of music by multiple performers. Conveniently, Americana-by-non-Americans already has such an ongoing playlist: The International Americana Music Show (TIAMS for short), a podcast launched in 2014 and still curated by Michael Park–himself a native Scot, now living in the U.S. Besides its own site, the podcast is also currently carried by around three dozen American radio stations, and is available online from the MixCloud streaming/aggregator site. Each weekly episode of TIAMS features about an hour’s worth of music by artists from around the world: Japanese-Americans rub elbows with New Zealanders, Finns with Dutch, Northern Irish with Canadians and Australians, Danes with Scots, Welshmen with Swedes, Japanese with Brazilians… and they’re all performing in styles classifiable as “Americana.” Via email, Park discussed how he defines the term. Park has been appreciating Americana since before the term began to describe the genre. He’d been a longtime aficionado of roots music, while working principally in public relations and general-purpose journalism. But he’d worked in radio in college, in London, and never lost his love for the medium. When he discovered the Internet radio station called Wrecking Ball Radio shortly after it started up in 2011, he realized the opportunity to get back into the field. The genesis for what later became TIAMS was the show he pitched to Wrecking Ball Radio’s founder, Jayson Tanner: Border Crossing. As Park indicated, by far most of the “non-American Americana” music comes from countries whose principal language is English. The percentage of the total performed by artists from such countries (according to an unscientific survey of over 450 songs) works out to nearly 70 percent. (Excluding Canada, the rest–the British Isles, Australia, etc.–account for about 50 percent of the total.) Scandinavia (Denmark, Finland, Norway, and Sweden) constitutes another 10 percent. Soloists and bands whose work might be considered Americana are playing, apparently, in every country on Earth. But numbers don’t say much about the subjective questions raised by the phrase “non-American Americana.” For those questions, we need to turn to those most likely to advocate (or not) the use of the “Americana” genre label in the first place. What do the artists themselves experience as Americana? And what do their audiences make of it? To get a handle on “international Americana” from the artists’ point of view, you could do worse than begin, say, with Lilly Drumeva–not that she herself necessarily accepts the label. The other members of her band, Lilly of the West, came from a jazz background, and first encountered country/bluegrass music in 1990. The last of the old Soviet bloc was collapsing, in Bulgaria as elsewhere in Eastern Europe, and the American Embassy there arranged for bluegrass star Tim O’Brien to appear in concert, and so what became Lilly of the West had their first encounter with the sound. Drumeva herself, though, first crossed paths with the genre a couple years later, while a college student studying economics, in Vienna. 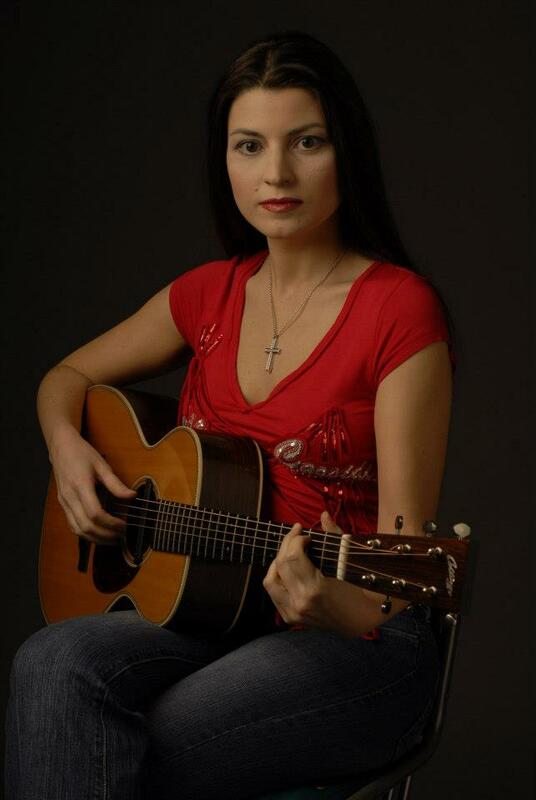 There she attended a concert by Emmylou Harris and (as she told Western Kentucky Radio in 2013), “I got hooked.” In 1996, after immersing herself in more concerts and recordings, she formed Lilly of the West back home in Bulgaria. Within two years, the band was performing at the inaugural European World of Bluegrass festival (EWOB) in the Netherlands, where they outright won the “Europe’s Best Bluegrass Band” award. They’ve been performing and recording around the world since. Meanwhile, Drumeva herself has gone on to work with the BBC as a music journalist and presenter, to formally study bluegrass as a 2013 Fullbright Scholar, and to perform as a solo artist. 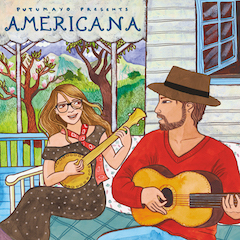 So Drumeva, as much as anyone, can speak to the subject of American roots music in Europe: she’s been part of the phenomenon in central Europe since before the term “Americana” was first introduced, even in the US. So, yes, color her skeptical about the need for the term at all, certainly as a term for her music. Which, of course, begs the question of what she recognizes as Americana in the first place. She acknowledges that Americana is “real country music, about real problems, stories and social issues.” But it’s “more authentic and honest than the mainstream country music. It often has darker lyrics and melodies. Songs are not as polished as the ones on the charts. Depression, yes: for instance, Lilly of the West’s contribution to the official recording of that 1998 EWOB festival was not a traditional number, but a haunting, tradition-drenched cover of Gillian Welch’s plaintive signature song, “Orphan Girl.” Welch, of course, is an artist squarely in the center of any Venn diagram purporting to represent the Americana genre. And yet, again, Drumeva does not consider–has never considered–herself (or the band) an Americana act. You may already sense the tendency of the genre’s definition to slither away out of reach as soon as you approach it. But the artists surveyed for this piece did find some common elements–most obviously, the sound of Americana. Behind Troop’s use of the word label lies an important truth: “Americana” may or may not be adopted by artists to describe their own work, but outsiders (audiences, producers, music journalists, and retailers) can use it to signify certain not-quite-country, not-quite-folk, not-quite-blues-or-bluegrass artists, songs, and performances. The word itself certainly existed and was even common prior to the 1990s, even going back to the 19th century. But it hadn’t been applied specifically to music yet. Instead, “Americana” described folk art, arts and crafts, furniture and fabrics–generally, physical products manufactured by individuals, reflecting stylistic and thematic quirks which you couldn’t find in their mass-produced counterparts. The appeal of such idiosyncratic, often rough-hewn elements isn’t limited to products made in America. In fact, a habit of including “flaws” is often codified in traditions and sacred texts around the world; you hear stories–some apocryphal, some well documented–of Native American rugs and pottery, geometrical Amish artwork, and architecture and other structural disciplines with Islamic roots which share this feature. In many such traditions, perfection is considered almost a form of blasphemy: presuming to duplicate the work of gods. The de-emphasis on polish draws many Americana-in-America musicians to the genre. And it seems to appeal to international Americana performers, too. The band called Pirates Canoe has carved out some kind of “Americana” niche for themselves in Japan, although their songs are almost exclusively written and sung in English; their members are all Japanese or Japanese-American. So do Japanese audiences recognize “Americana” when they encounter it? Well, then, is the English language a required element of Americana? Granted, most international Americana artists so labeled do sing in English: it’s their native tongue, or at least common in their homeland, whether they come from the British Isles, Canada, Australia, or the like. But at least theoretically, must lyrics to an Americana song be written and sung in English? Yes: people want to understand the lyrics. That presents questions for Joe Troop down in Argentina, too, who’s reversed Kaiser’s musical path, taking his music from America to another country. “I honestly think ‘Americana’ as a term describes stuff sung in English,” says Troop. “With my band Che Apalache I’ve begun to compose in Spanish, but mostly over musical forms derived from South American music. I do most of my music in English, naturally. But since I live in South American, I guess much of my poetry is lost on my audience. “[At least] in terms of bluegrass,” she says, “I think the sound of the instruments defines the genre, and therefore it does not need English lyrics. There are Norwegian bands that play bluegrass and play in Norwegian.” She points to a recent “Norwegicana” playlist on the Tidal streaming service, which mixed both English- and Norwegian-language tunes. So okay. If not America, nor the English language, what’s the common thread that says Americana? Striking, no? While Barker embraces the Americana label, she does so because it frees her to be none of those other things: to be, in short, unclassifiable. Eric John Kaiser agrees: musicians themselves don’t have to self-identify with Americana in order to be Americana performers. As he points out, the original practitioners of what’s now called “Americana” barely thought of themselves as performers at all. So regardless how it’s labeled, no matter the language, does the audience even need to understand the lyrics at all? Now turn the question around: if you don’t recognize the language at all, could you tell it was Americana? Not everyone would take it that far. Says Bregje Sanne Lacourt: “If I hear a song with the sound of Americana but in a different language I would label it as folk. So the English language does actually make a difference for me.” Even Etta, who accepts that Pirates Canoe’s own audience may not understand English-language lyrics, said she’d have to hear an example in another language before deciding. The question hangs in the air, unanswered for now. But with all that, he doesn’t think of himself as an Americana performer. “I like the term ‘folksinger’ just fine,” says Cook. He clarifies: “‘Folk’ is often just taken to mean singer-songwriter music played on acoustic instruments. But I tend to think of folk music as having some connection to the modern folk tradition, the lineage of Woody Guthrie, and in some sense being ‘people’s music’ rather than commercial music. Consider art-genre concepts like “performance art,” “speculative fiction” (instead of “science fiction and fantasy”), and, yes, “Americana.” Are these examples of Vonnegut’s foma? More broadly, is a community built around such terms an example of Vonnegut’s granfalloon–“a seeming team that was [actually] meaningless in terms of the ways God gets things done”? Do labels like these actually communicate anything useful? Every artist contacted for this piece has been at some point identified as “Americana” in style. They embraced the label, or shrugged it off on any number of grounds; to use it at all represents a conscious but arbitrary decision to use it–one can make that decision, or make another, or make no decision at all.